You can exhaust yourself just keeping up with your inbox, and you won’t make a big difference. Today, let’s dive deeply into that first bullet. This one’s closely related to the old leadership (working on the right things) vs management (working on things right) distinction. You can exhaust yourself just keeping up with your inbox, and you won’t make a big difference. Or, you can work on things that hold long-term strategic value for the organization, the team, etc., and in doing so you can make a large positive impact. So, how do do you determine what holds long-term strategic value? If your organization isn’t bush-league, then your executives will have gone ahead and defined these strategic areas for you. Now all you have to do is start with those and ask yourself what you can do to contribute. As a bonus, come performance evaluation time, you can directly relate your contributions to the company’s strategic focus. As another bonus, you’ll know that what you’re working on is connected, whether directly or indirectly, to what’s important. If your organization lacks clear strategic vision, then don’t despair – it’s actually an opportunity for you to show real leadership. Years ago, I asked an executive “What do you think I can work on that will truly make an impact?”, and his answer shaped the next few years of my career. After a few of these conversations, patterns will start to emerge, and I can focus my, and my team’s, efforts in these areas. When you know what matters most, as a consequence you also know what matters relatively less, and this clarity is wonderfully empowering. Don’t feel badly about saying ‘no’ to things for the right reasons. Just don’t imply that those other things don’t matter at all; they’re no doubt very important for some people, or they wouldn’t have asked, but your job is to do what’s best for the organization as a whole. 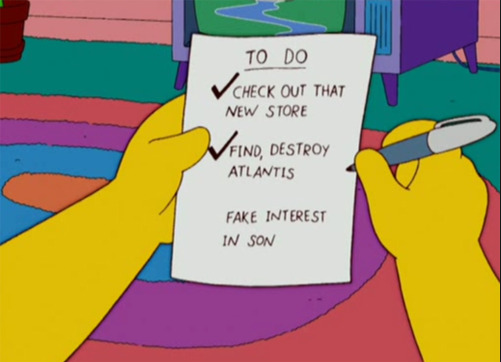 Whenever someone on my team comes to me with an overwhelmingly long list of to-do items, we start by assessing priority. Which items relate to key company strategies? Which hold long-term value for the most people? All tasks and projects are not equal. Quite quickly, the long list of to-dos becomes a fairly short list of priorities and a bunch of noise. A direct consequence of directing your activities effectively in this manner means that, down the road, there will be fewer piddly little distractions popping up to consume your time – because you prevented them by taking care of large important stuff. For instance, you won’t get pulled into annoying feature-by-feature competitive comparisons at a deal’s crunch-time, because you won the deal handily in the early-going by executing on an architectural differentiation strategy. This bonus time will come in handy later. Now, let’s move on to the second strategy: maximizing your return on energy.